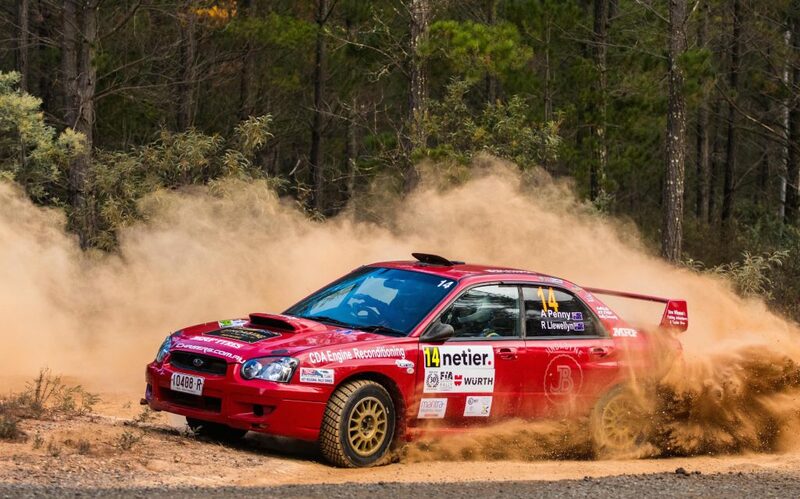 It’s been a long road for CAMS Australian Rally Championship driver Andrew Penny and 2018 had its fair share of ups and downs. Penny is quite a popular figure in the rally world, making his Kennards Hire Rally Australia result one of the more memorable moments for 2018. The New South Welshman began his year on a positive note, finishing in the top half of the field to claim ninth outright. The highlight being family bragging rights after beating his daughter Kirra, who was co-driving for Wayne Morton. Penny then secured 11th outright in Perth, sharing the spoils with fellow ARC2 competitor, Haowen Chu, before having a weekend to forget in Canberra with a DNF. After a late call up to the winner takes all CAMS ARC2 finale at Rally Australia, Penny starred on the year’s biggest stage. It was truly a magnificent event for Penny, the 49-year-old securing not just the ARC2 title, but placing third outright – his first podium in a national event. 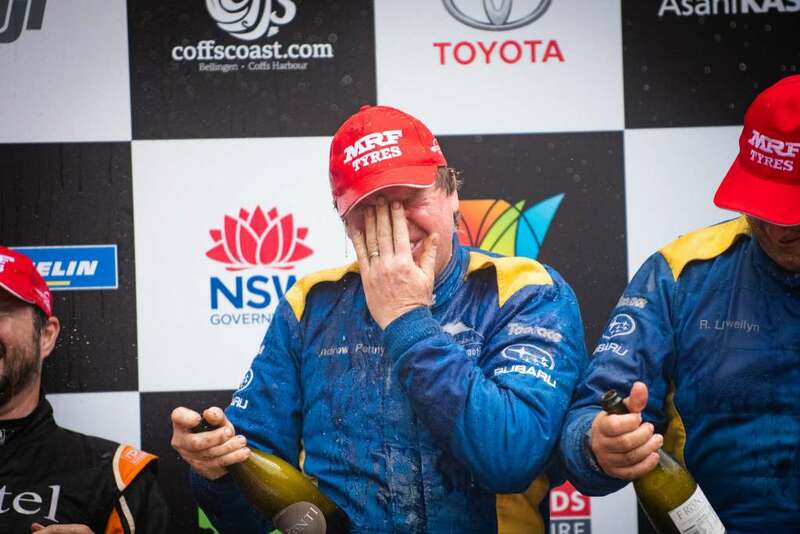 The obvious choice for Andrew Penney’s best moment in 2018 would be Rally Australia, where he finished third outright and claimed the ARC2 title. 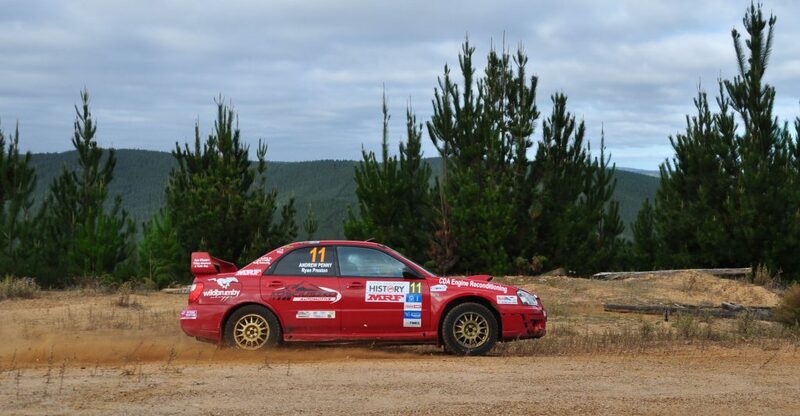 His form for the event was highlighted by a moment on the second day when he and co-driver Rhys Llewellyn were 20 minutes ahead of their closest competitor. The pair spent a couple of early stages cruising through with one minute ACR2wins, before turning it on and extended their stage wins to four minute stage each. Personally though, Penny would be looking at a moment in Ballarat when the friendly family feud was well underway. Morton and Penny’s daughter Kirra had claimed the opening three consecutive stages over Penny. However, the Jindabyne local turned it on in the fourth, beating the pair by 20 seconds and taking back family bragging rights. While the victory didn’t have an overall impact on the season, it gave the pair the confidence they needed to back themselves in for the remainder of the season. Penny’s result in Canberra looked to have cost him his position in the ARC2 final after failing to finish the rally. On the first stage of the second day, Penny damaged his steering and was forced to pull the car over, try to repair his damage with a rock and screwdriver before bravely completing the stage 15 minutes later. Despite the hard work, Penny took no further part in the event with the car parked in the Service Park. “It’s definitely one of the best seasons we have had in a long time. “I think the year before was fantastic, but we didn’t win anything. “I really have to say that definitely this year was the best so far in my career. Penny is currently in the process of building another car with plans to complete in the 2019 CAMS Australia Rally Championship. The only decision for Penny now is which car he will compete with. Penny’s results in Coffs Harbour will be hard to come by for a second consecutive year due the nature of the rally itself. What the victory will do for him though is give him some very good confidence for the opening round in Western Australia.